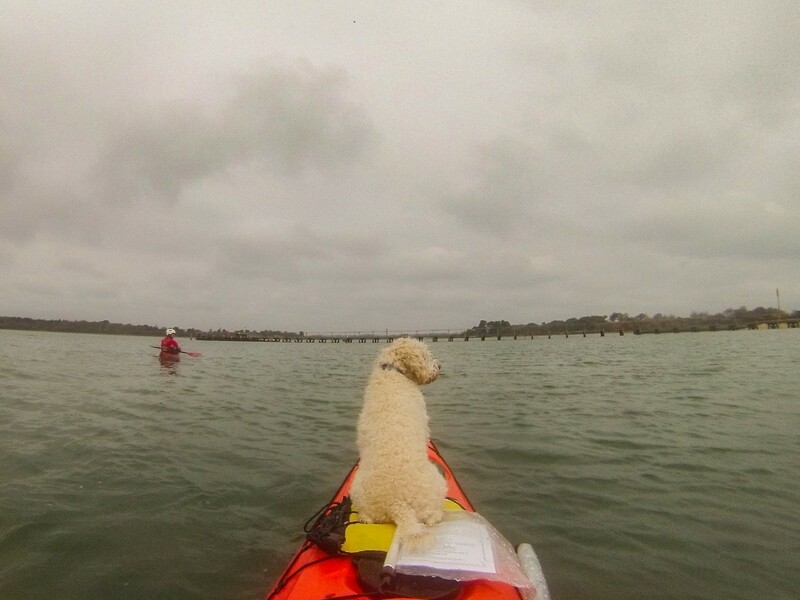 While Snowy was channelling his inner Montmorency from Three Men in a Boat, the rest of the CKC team were on a weekend trip to Poole Harbour in late March 2019. 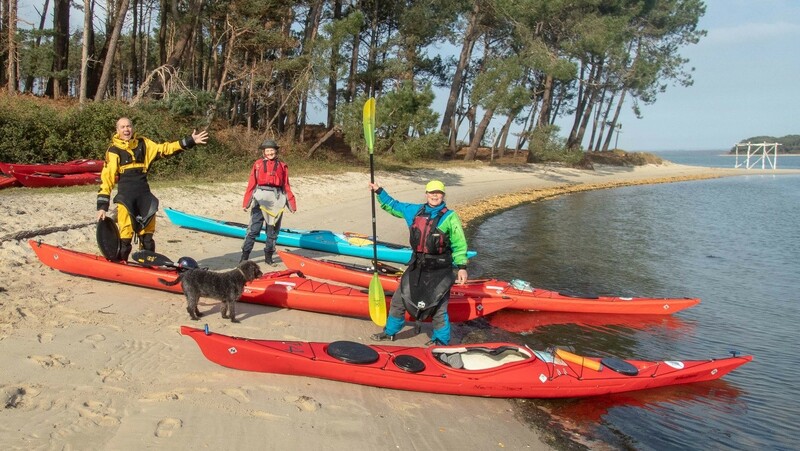 The team was neatly divided into two groups: those with limited experience on the sea and those with some experience, plus two dogs: Snowy and Lola (of varying abilities). 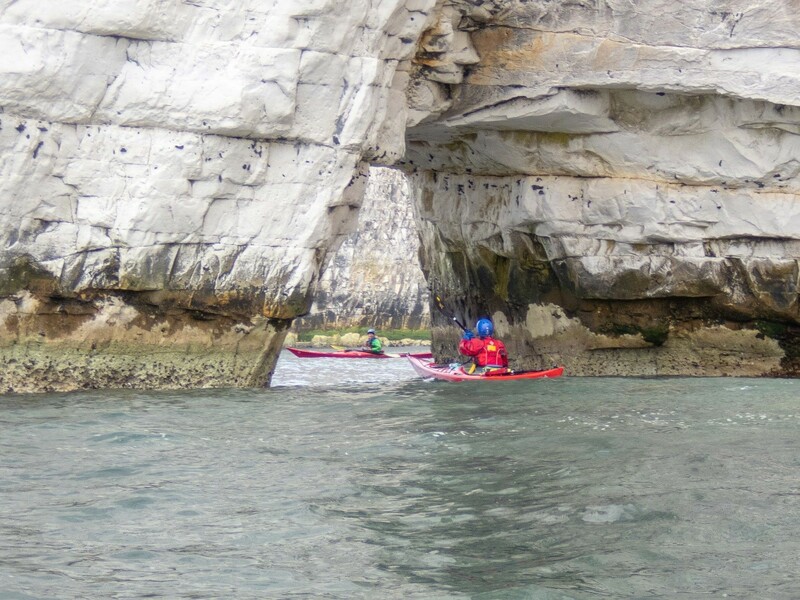 Using the CKC kayaks, paddles and equipment brought down from Kew Bridge, the ‘novice group’ spent two days practicing basic paddle strokes and techniques as well as performing their first assisted and self rescues. 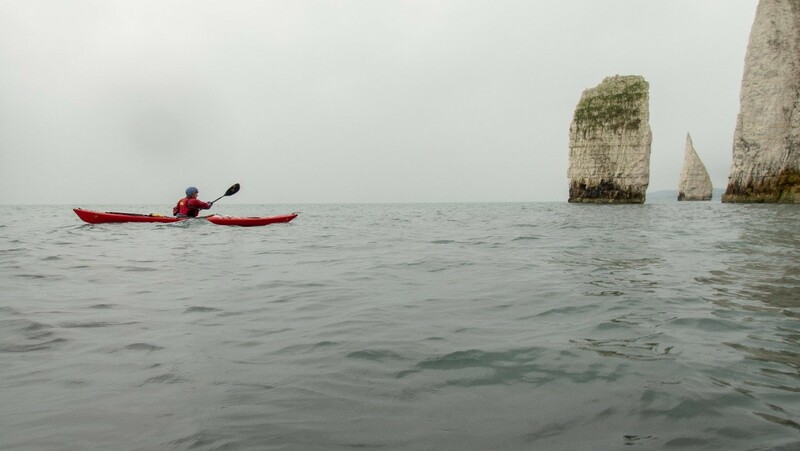 Based on the south side of Poole Harbour for the weekend, it really was the perfect calm and safe environment for taking the first steps beyond beginner paddles on the Thames. 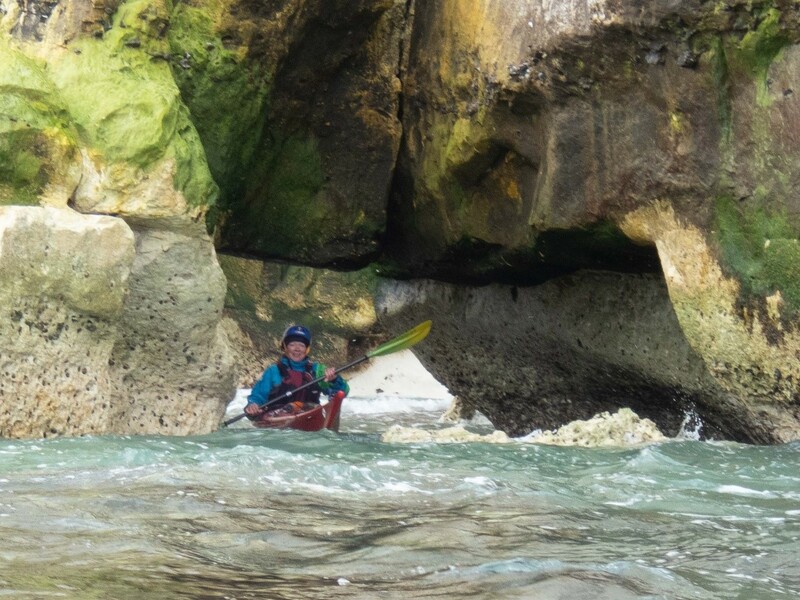 Initially, beach based coaching was conducted by CKC sea leader Paul, assisted by William from the Cardiff Whitewater Centre. 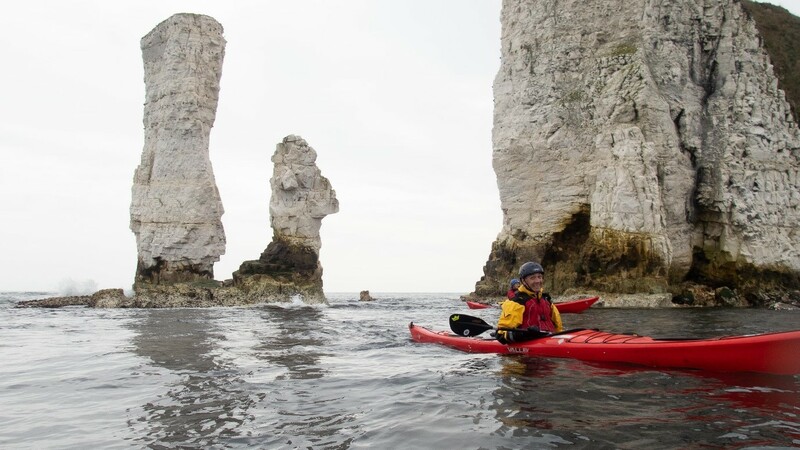 Before moving on to the sea to practice paddle strokes and manoeuvring. 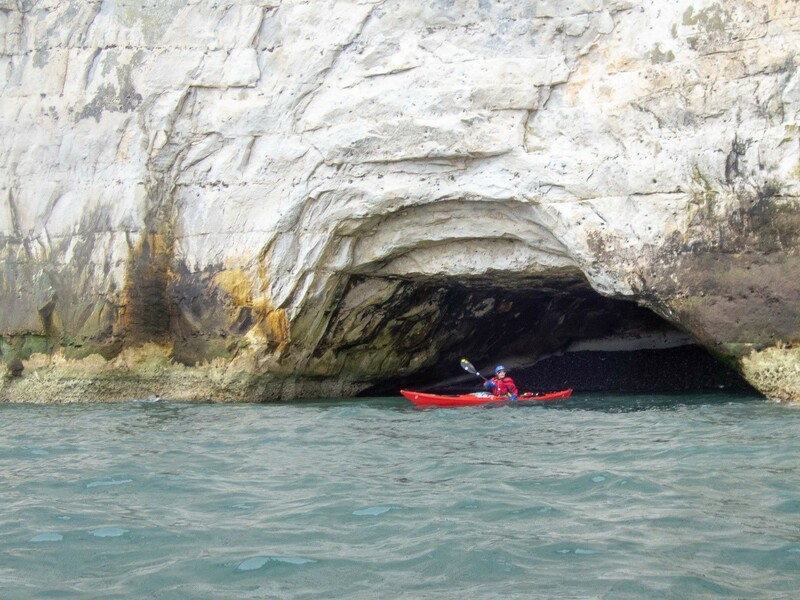 We backed our boats into several sea caves to hear the loud reverberations of the pebbles being rattled by the waves. 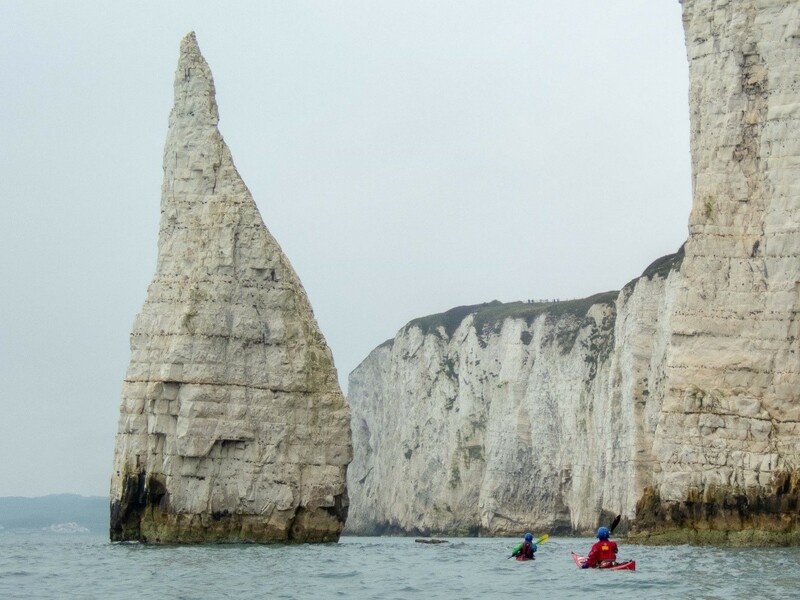 We head further south towards Ballard Point at the north end of Swanage Bay, before turning back to visit Old Harry’s Rock before the ebb gains full momentum which causes tidal races off Handfast Point. 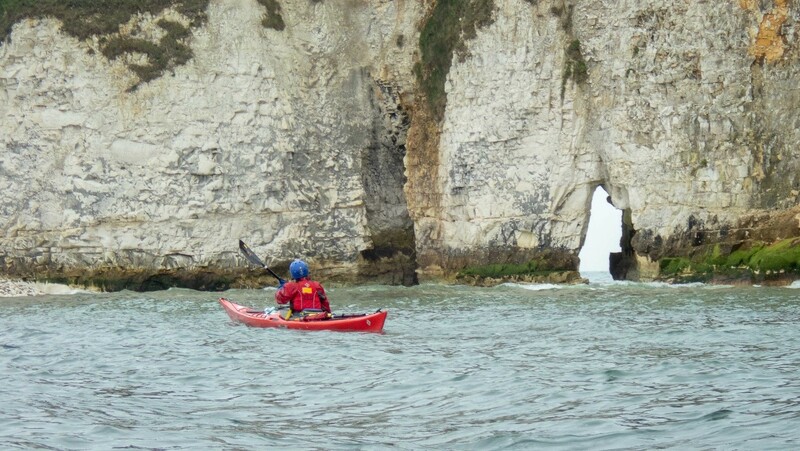 As expected, the water level had dropped so it was not possible to go back through arches, so we pass between the mainland with Old Harry and Old Harry’s Wife on our right, with waves pushing us through the gap. Back in the cottage for the evening, we see the enormous Brittany Ferries ship pass silently out of the harbour, lit up. We plan the next day’s trip, and cap off the day with a shot of Jura whisky in front of fire. 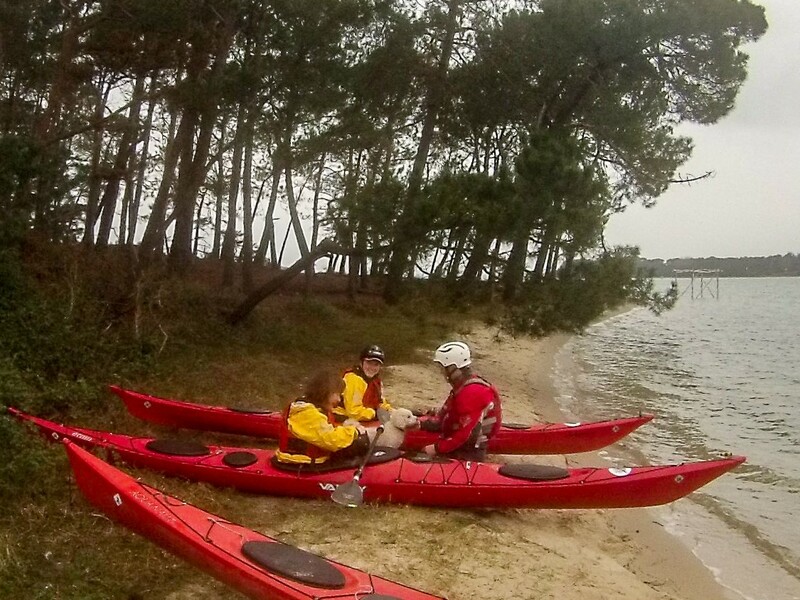 Initially there was a head wind (F2-3) for the first hour which meant some focused paddling was needed to get us around the Arne Peninsular. 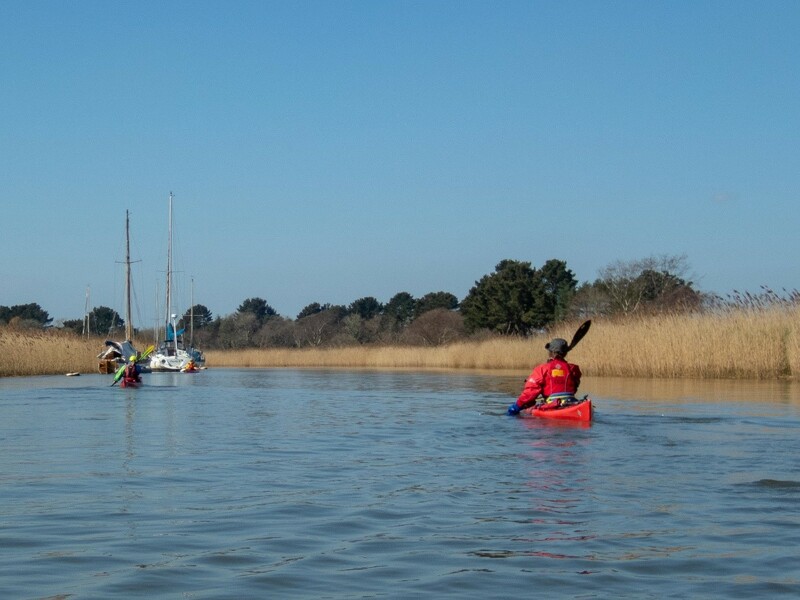 After that the estuary closed in and slowed down, with long brown reeds lining the river all the way to Wareham. An enjoyable weekend was had by all, but the main thing was that Snowy agreed.